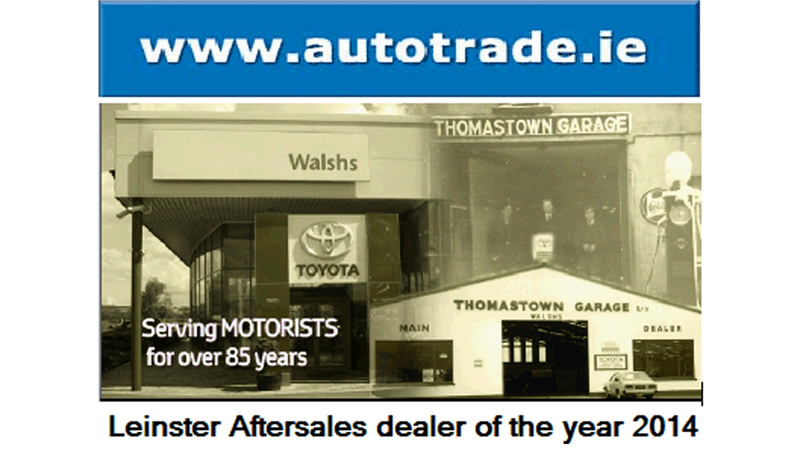 "Walshs Kilkenny have won the Autotrade.ie Franchised dealer award 2014 for aftersales in the Leinster region." Walshs won the award outright in Leinster for being the best performing aftersales dealer ahead of all other franchised dealers. Walshs were assessed on their Aftersales Process in relation to customer complaint handling, cold calling exercises, website standards and finally a mystery shop exercise. Walshs are our only Toyota dealer to win a regional award. Walshs will receive their Award at the Gala Awards Dinner in the Ballroom at the Citywest Hotel on the night of Sunday, November 9th. I hope you will all join me in congratulating James, Ger and their team for representing our brand to such a high standard. Now theres a way for Walshs customers to make their IDEAL CAR SERVICE even more affordable!